Journey through time with our award-winning You Are There exhibit series, the virtual wonder of Destination Indiana and more. Students and teachers alike enjoy and benefit from hands-on experiences, immersive environments and more. From weddings and parties to corporate meetings, rooms inside our building are the perfect fit and create a lasting impression. From students to researchers to history enthusiasts, thousands of people connect with the millions of items in our premier archive for the history of Indiana and the Old Northwest – and you can, too. With exclusive events, special discounts and award-winning publications, our members enjoy themselves while supporting our mission. 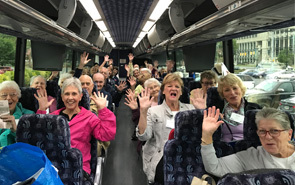 Our efforts to connect people to Indiana’s past stretch throughout the state, from traveling exhibits - like History on Wheels - and collaborations to grants and training. Immersive time-travel experiences. Innovative programs. Extensive archives. Statewide services. Compelling stories. From award-winning exhibits to millions of items from Indiana’s past, the Indiana Historical Society brings history to life for all ages. We do your history. Follow three friends through the Civil War and on the Steamboat Sultana in our newest young adult historical fiction novel. 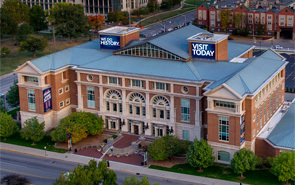 Since 1830, the Indiana Historical Society has been Indiana’s Storyteller,™ connecting people to the past by collecting, preserving and sharing the state’s history.